Very clean, like new 60 amp PWM controller. 90 day warranty. Includes TS-RM Remote. Unit sells for over $500 new! This is an inverter only, the charger is not functional. 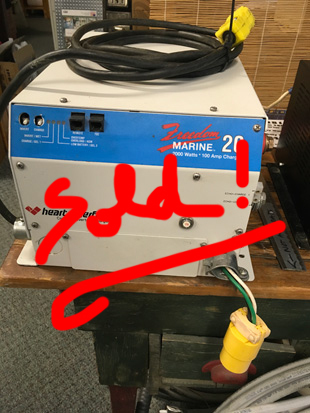 However if you need a good heavy duty 2000 watt, 12v inverter the price is right. Complete with power in and out cords so you can attach a generator input as needed. Sold as-is. We have one of these brand new AirX turbines at a very low price. We can also supply 27' and 45' tower kits. 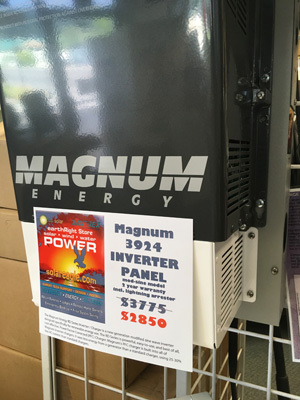 You can have this unit up and running in an afternoon and it makes a perfect compliment to an existing solar electric system. 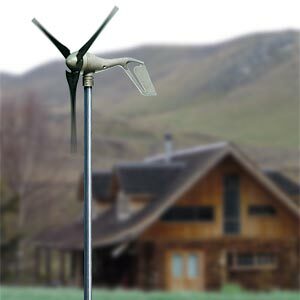 New version of this turbine, the Air 40, is $1700! 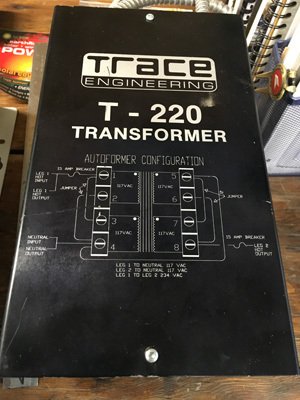 This Trace T220 will take 220v down to 110v to balance your generator outuput. If you just use one leg of a 220-240v generator to supply 110-120v then you will wear out the generator much faster and get erratic output. Can be used as a step-up, step-down, generator and split phase output balancing transformer. 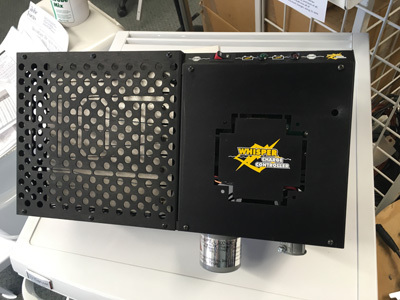 2800 watt output. 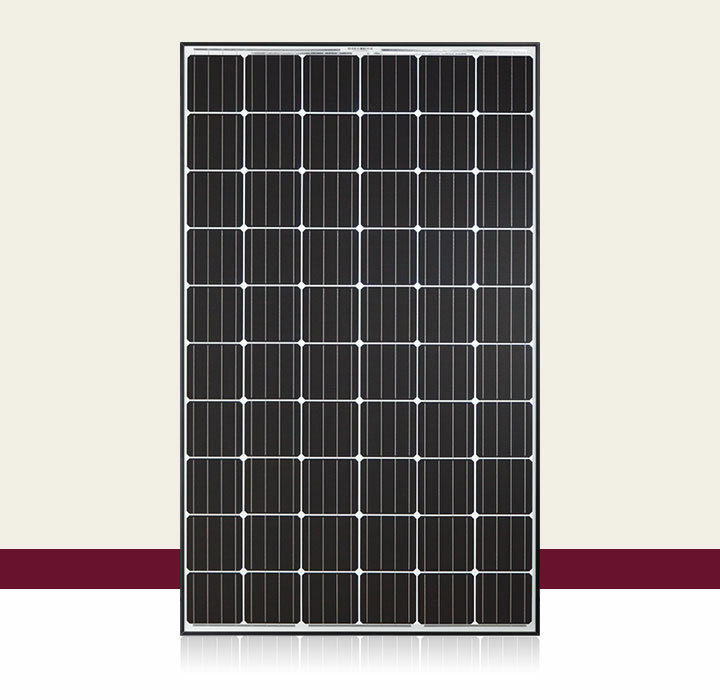 A high efficiency Shell MonoCrystalline solar panel. Made in Germany. This solar panel was installed for 4 years before the customer upgraded to a larger array. 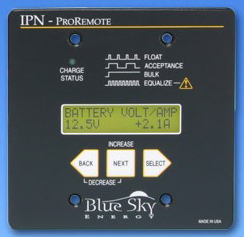 This is a 24v panel but can be used on any battery voltage with an MPPT controller. Sells for over $500 new. Complete with built in MC3 connector cables. We also have one new unit that the customer never installed for $350. 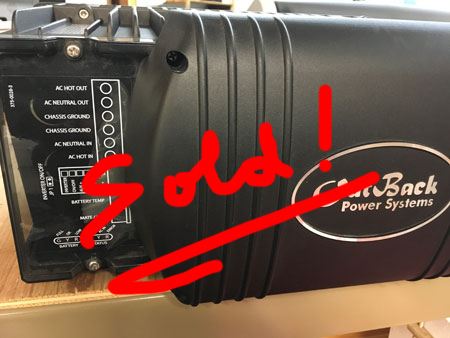 This is a brand new Outback VFX 3524 inverter with ultra clean pure sine wave output. We ordered this as part of a larger system and this unit was never required. Outback is the Cadillac of inverters with a built in 85a intelligent battery charger with advanced charging algorithms. This is an exceptional price, the usual retail price on this unit is $3200. A limited shipment of 265 watt Hanwha Premium panels, engineered designed and tested in Germany, has just arrived. 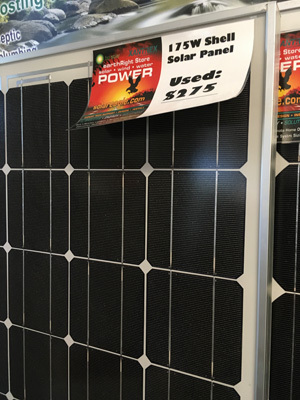 We are able to maintain the rock bottom price of $1/watt until we sell half the shipment. 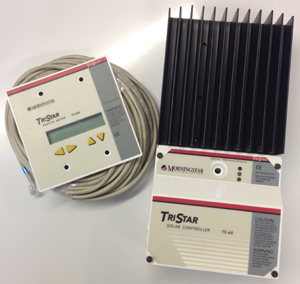 Featuring a 25 year performance warranty, excellent efficiency, rated in the 96th percentile. Outstanding performance!